Okinawa has long been famous for its longevity. In fact, the Pacific island was originally referred to as the land of immortals, and even after repeated Chinese and Japanese invasions it still claims some of the world’s longest-lived people. Residents have less cancer, heart disease and dementia than Americans, while Okinawan women live longer than anywhere else on the planet. In America we tend to break our adult life into two phases: work and retirement. 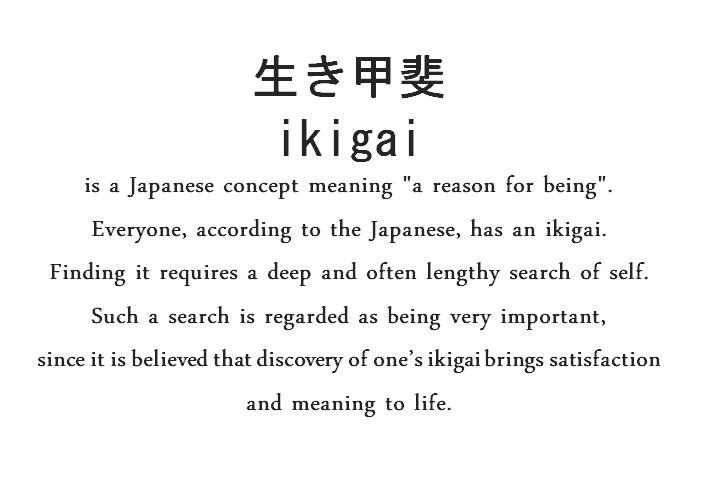 But in Okinawa there is one word that encompasses everything, ikigai (eek-y-guy). It means the reason for which you wake up in the morning, sense of purpose or, “WHY”. Experts tell us that people with a strong sense of purpose have boosted immune systems, have lower stress hormones, and they are able to grapple with the difficulties of life better than those who don’t. In Okinawa, ikigai is a very personal experience, and it manifests itself in many ways. It often is centered upon health, relationships and experiences. In the traditional Okinawan language the word retirement doesn’t even exist. What these people can teach us is the importance of having a strong reason to live. That reason as it turns out may even help you live longer. 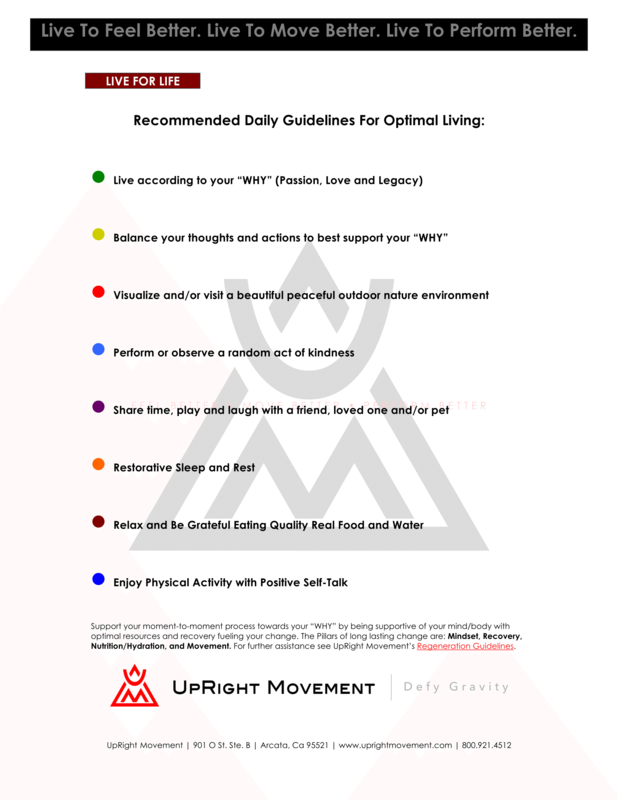 UpRight Movement is a Force Multiplier supporting the positive practice of Your “WHY”, with its newest Daily Recommended Guidelines handout. Improve your Mindset and make progress toward your goals by leveraging UpRight Movement Principles. Aid your Recovery, Health and manage Stress so you can feel better, move better, and perform better! The Pillars of long lasting change are: Mindset, Recovery, Nutrition/Hydration, and Movement. 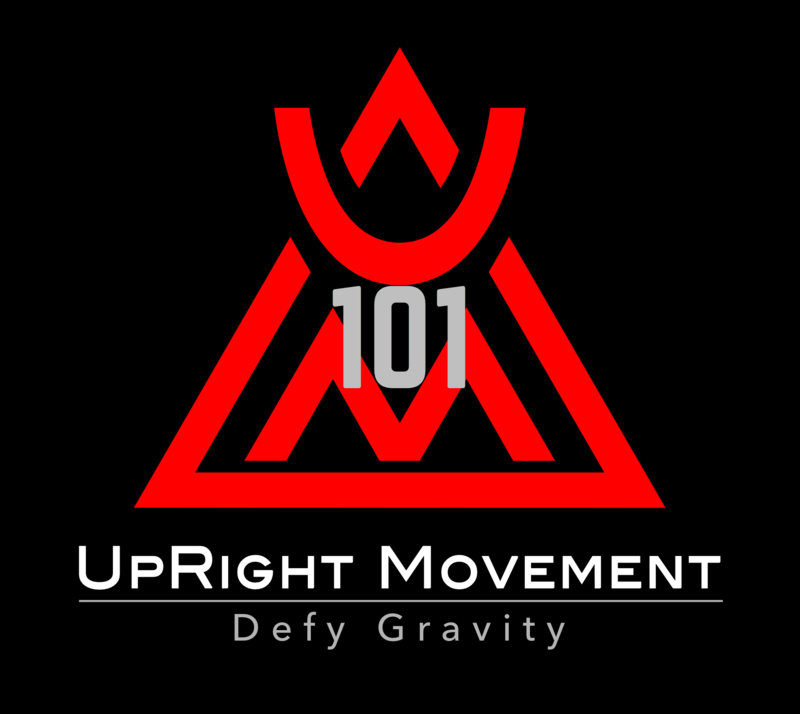 For further assistance see UpRight Movement’s Regeneration Guidelines.